The Google Play Store is receiving a new server-side update that brings quite an interesting set of new features, but the icing on the cake is the support for simultaneous downloads for app updates. Long time Android users will recall that this is actually the second coming of this feature. Back then, it was part of Android Market, but the quality of hardware at the time meant most Android devices would occasionally come to a crawl and force reboots. The internal storage then wasn’t huge either, something that is crucial here. 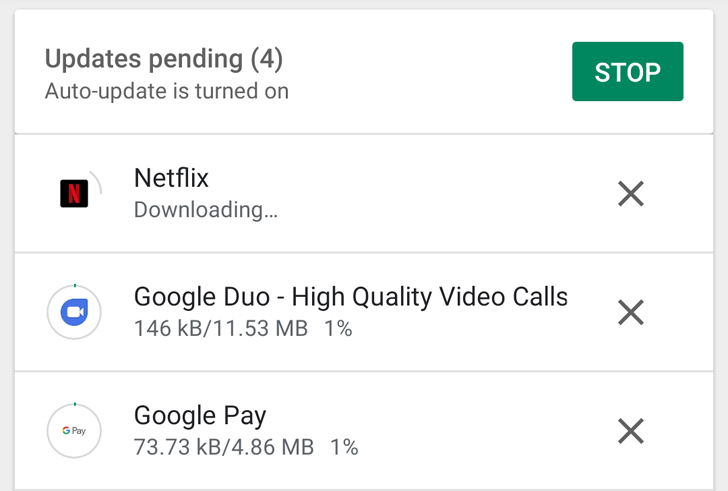 With speedy processors and storages of up to 1TB now the order of the day, Google is bringing back the ability to download multiple Play Store app updates instead of having each app lining up one after the other. When you tap on update all in the Google Play Store, this time, all apps begin to download updates. However, when done, the updates for each app are installed one at a time. So far, this feature is limited to a few users, which explains why you don’t have it yet. A wider rollout is expected soon, though. Besides simultaneous app downloads, Google is also opening up the Play Store to more possibilities. If interested, it’s now possible to download and install unreleased apps from select developers and try them even before Google gets to inspect them. Yes, this means you are getting access to apps that haven’t arrived in the Play Store. 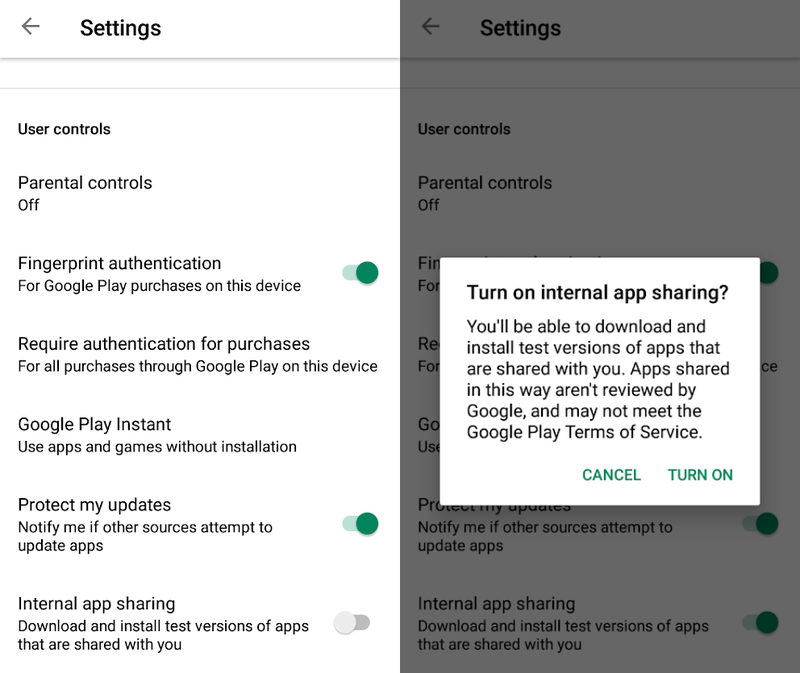 But to get there, you’ll first need to unhide this Internal app sharing setting by tapping on the Play Store version in the app’s Settings. Make sure you toggle on this option so that developers can know you are in. The new Play Store also gets a changed Play Protect UI, where the settings to scan the device and improve detection of harmful apps now has a separate screen, and a new filter for narrowing your search to shows by Networks in the TV tab under Movies & TV section.